Prominent & Leading Service Provider from Chennai, we offer full & final settlement (f&f) payroll, hr & payroll payroll software, payroll software, policies & forms payroll software, statutory compliance software and employee database hrms software. F&F settlements are simple and easy to do. The system handles all aspects of settlement like recovery of pending dues, notice pay, leave encashment, etc. to compute the final settlement amount. Final settlement payslips can be generated. You can also do resettlement of an already settled employee for any additional payouts. With complete understanding of the customer’s requirements, we are offering HR & Payroll Integration Payroll Software. The HR experience becomes good when leave attendance, holiday calendar and payroll all work effortlessly. 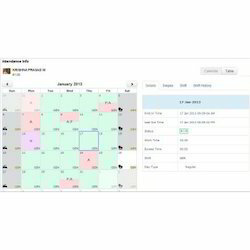 This software provide more accurate complete picture of employee attendance. Moreover, it also eliminates duplications, inconsistencies, and confusion that is common with stand alone attendance software packages. We provide this service to our customers at highly affordable prices. greytHR payroll software covers all aspects of payroll management ensuring 100% accuracy, huge time savings, and highly satisfied employees. 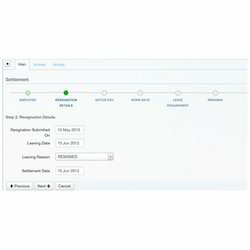 greytHR accurately computes salary for all employees including Statutory Deductions (PF/PT/ESI/TDS), loan deductions, stop payments, revisions, loss of pay, pro-rata salary, Income Tax computation and more. Comprehensive coverage of every single aspect of payroll management including statutory compliance. Ready to print payslips, reports, statements, etc. Accurate and super fast payroll processing. Easy to learn, easy to use. 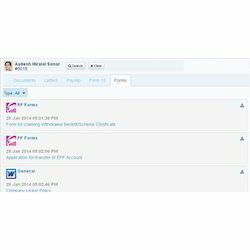 Are you looking for software that can publish policies and forms for employees? This Policies & Forms Payroll Software publishes policies and forms for employees that can be downloaded on the employee portal. This software helps to keep your employees updated on company policies as leave, travel, etc or allow them to download forms without HR participation. Moreover, this software is offered to our customers at best possible rates. 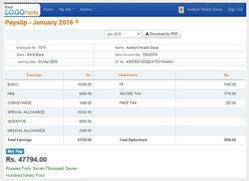 This Employee Database Payroll software tracks all the employee information required by HR for different purposes. 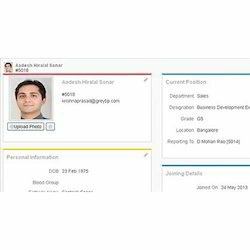 With the help of this software you can keep a record of various details which includes organizational details, photo, bio-data, qualifications, family & passports. greytHR has tools to manage and update this information with minimum data entry. Easy to use excel importers are available to quickly bring in all sorts of employee information without having to manually feed it. 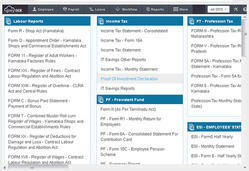 Looking for HR Payroll Software ?